NetworkAntics’ Meaningful Use Audit Support will document your current risks and vulnerabilities; and will help develop a strategy to implement security and policies to protect you against potential audits with our Risk Assessments. Our customized cloud based software will ensure you have a document on file for Medicare and Medicaid subsidies; and meeting deadlines to be in compliance. Meeting these requirements will help you achieve government subsidies for all stages of Meaningful use. Expect $15,000, $12,000, $8000, and $4000 in annual incentive payments if you are applying for 2013 Medicare incentives. To get the maximum incentive payment, Medicare eligible professionals must begin participation by 2012. Alternatively, your total payout is $63,750 depending if you meet the Medicaid volume requirement for number of patients. 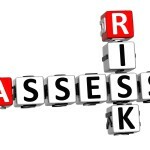 Contact NetworkAntics today for a risk assessment quote. The timing and stage of each provider’s filing may vary, depending on their involvement in the practice adding to the complications of the required support systems.